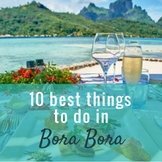 Best Rooms in Bora Bora? We are staying at 2 resorts this November when we visit Bora Bora. The Hilton Nui in a deluxe over water bungalow and the Le Meridien in an over water bungalow. Which room numbers or areas do you suggest for the best view/snorkeling and sun exposure? Your site is AWESOME btw. So many useful tip! You will have such an amazing time at those resorts! 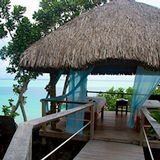 You are so lucky that you will get to experience two completely different, but equally beautiful resorts in Bora Bora. The Hilton Bora Bora over water bungalows are all in good locations. There are coral gardens at each end of the Hilton's beach, but the best snorkeling is extending from the right side of the beach, especially those in the 321 to 325 range. The over water bungalows further from shore have deeper water under them, so you can have fun jumping from the deck. If you want more privacy, stay away from the bungalows that are in the middle of the resort, next to reception, as the boats come and go from there. At Le Meridien, again, the bungalows further out are in deeper water. However the water here is generally shallower than at the Hilton (and a completely different blue!). There isn't much to see here snorkeling from the over water bungalows, other than the occasional sting ray. You will do all your snorkeling in the Le Meridiens inner lagoon. The water here is lovely though. It is like a beautiful giant swimming pool that you will enjoy to swim in. 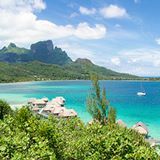 The Le Meridien's Premium Overwater Bungalows have more privacy, wider decks and spectacular views across to Bora Bora Island and Mt Otemanu (but also cost more). The standard bungalows look up and down the lagoon, and some to the resort and the beach. These views are not as spectacular as looking at Mt Otemanu, but are still beautiful. You will get to enjoy Mt Otemanu's peak from when you are on the resort grounds, at the pool, beach, restaurants ect. This is a totally different view from what you will have at the Hilton though, so you may want to upgrade to a Premium Bungalow. The Intercontinental Thalasso resort is just down the Motu from where you are. 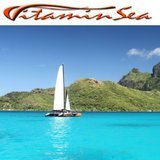 They have an incredible deep ocean spa that has unique treatments. I recommend going for a stroll down there and having a treatment and enjoying their facilities. Have a wonderful time in Paradise! 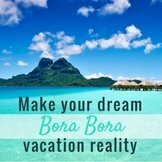 We would love to hear about your time in Bora Bora when you get back, so please let us know! 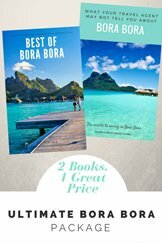 Comments for Best Rooms in Bora Bora? 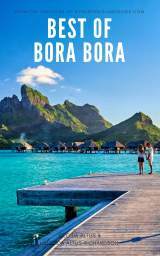 Well located hotel at bora bora specially famous for spa and for delicious food. 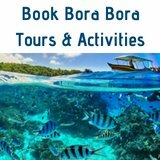 Bora Bora Hotel provides you best hospitality services in area. 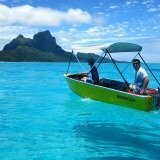 You can also try it, if you are planning to go Bora Bora. Many people try to find the Best Rooms in Bora Bora. What are the Sofitel's over water bungalows like since they have been reopened? Would you recommend staying at the Private Island? The Sofitel Private Island has such an I'm in secluded tropical island paradise ambiance I thought I'd arrived in heaven. The refurbished bungalows are lovely. The new manager has been focusing on all kinds of ways to give the Private Island an exclusive feel. If you can afford an over water bungalow the color of the lagoon underneath them is amazing and there's a fabulous parade of sea life to entertain you via the glass floor panel. Ask for one with a Mount Otemanu view. All views seem larger than life at this resort. You can paddle a kayak around to the other side of the island for some of the best snorkeling in Bora Bora. If you can splurge on a romantic lunch or dinner for two, on the beach, the experience is unforgettable. Sofitel now has dinner for guests on the Private Island. But it's only a few minutes by (on call) shuttle boat to the mainland where you can walk to nearby restaurants and cafes, as well as to Matira Beach. You have privacy and easy access to Bora Bora! 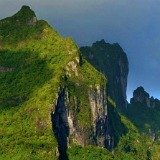 My Girlfriend and I have booked the flights to Tahiti and are now in the process of deciding where to stay. It was always a Dream of me to stay once in Bora Bora. I have spent some time today in the Internet and there are so many offerings but with big differences in the Rates. Is there a recommendation where to book? Directly at the hotel or whatever? Thanks for your help and greetings from snowy Switzerland. Yes the rates can really vary between online booking engines and quotes from travel agents. What is best for you will depend on what you are wanting. If you are after cheapest prices, these can usually be found on the online booking engines. They will be the base price of the room and usually don't include any extras like breakfast and transfers. Occasionally a online booking engine will have a special offer including breakfast, This usually makes the rate a very good find! If you book a special like this make sure you take a printed copy. We have experienced the resort not believing that breakfast was included in the rate until we presented our booking receipt! I usually find the best rates on Expedia.com and Booking.com. If cost is the biggest concern to you, then I would compare the prices on online booking engines. Make sure you are comparing the exact same room type between engines. You might be looking at “over water bungalows” but resorts can often have 3 or 4 categories of over water bungalows that vary in price according to their view and features. Booking though an online engine you will need to organise all the other details of the trip yourself. 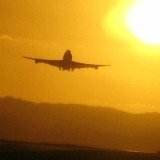 For example, food, transfers and flights between islands. 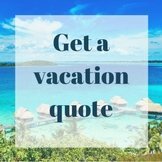 Organising the details yourself will usually result in a overall cheaper cost of your vacation, but organising everything can be a little daunting and very time consuming. If you are wanting all the details of the trip to be put together for you, a travel agent can organise all the details of the trip and put it into a package for you. Make sure you are using a Tahiti specialist if you choose this way to book your holiday! It is very important. It is best if you have researched a bit yourself too so you can tell the agent what you want. 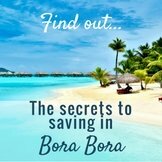 Otherwise you could end up with a very different Bora Bora vacation than what you had in mind. The overall cost of the vacation will probably cost more than if you searched for online deals yourself, but some people find it worth it for the ease of mind. 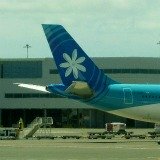 Look at the agencies that work with Air Tahiti Nui on their website, because they will be reputable agencies that are Tahiti specialists. And of course your third option is to book directly through a hotel. 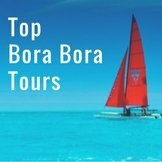 After researching the Bora Bora resorts, if you have chosen where you are specifically wanting to stay, then compare the price of that resort on their website and on an online booking engine. You might find that the resort is offering a half-board or bed and breakfast package for almost the same rate. It is worth paying a little extra for this because eating in Bora Bora is quite expensive. So it is great to have some food included in your hotel booking. There are so many gorgeous resorts to choose from, and a wide range of amazing excursions and tours, so it is great that you are starting to research these Oliver. We wish you happy planning and hope you enjoy your dream vacation in Paradise. 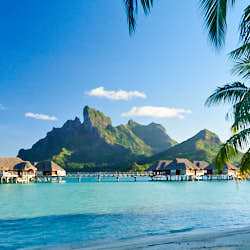 We are planning a holiday in Bora Bora, and will be booking the St Regis, where the film "couples retreat" was filmed. In the film there is a waterfall with a seat around it. Can anyone please tell me where this waterfall is? There are many beautiful areas around the St Regis resort and you will feel like you are in romantic movie. The waterfall in the scene has been set up for the movie. That particular scene may have even been shot in a studio as there are not any areas like that on the flat sand motu's the resorts are set on. Even the pool that is in front of them in that scene is not the St Regis pool. You will find the real pool and the couples pool at the St Regis stunningly beautiful though. We are wanting to know prices on the Hilton Bora Bora Presidential villa. I can't find prices or how to book to stay in this villa. There will be 3 to 4 of us. Thanks so much. Can't wait to come to Bora Bora. Maybe for 5 nights. The Presidential Villa is booked directly through Hilton. You can check availability and see the prices on this page for the Presidential Villa. In 1984 I spent one month on Bora Bora. The last two nights of my trip I stayed in a hotel on Motu Mute. It was a short walking distance to the airport (approximately 10 minute walk). I remember I stayed in a bungalow on the beach, which had a semi-outdoor shower. I also remember a big restaurant/bar a little further down on the beach from my room. I am trying to find out the name of this hotel. Since this was almost 30 years ago, I do not think this hotel is still there. Anything you can tell me about this hotel will be greatly appreciated. Thank you. There is no hotel on Motu Mute now. We have not heard about this hotel before. It must have been gone for a very long time. It was probably destroyed in one of the hurricanes and never rebuilt. The closest hotel to the airport now is the Four Seasons, but that is the newest resort in Bora Bora and not on motu mute. 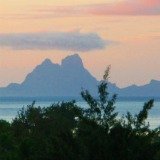 There have been many changes in Bora Bora over the last few years of hotels and resorts that have closed, and resorts that have opened.